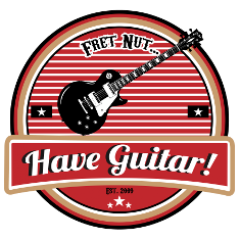 Effects Archives - Fret nut... Have Guitar! Fried Chicken Update ! Have Guitar EFX! Line 6 Helix Native – All the… no, wait… some of the Presets! The one year jubilee continues with more bonus videos, here’s the last Helix Native video I managed to squeeze in before the trial ended! Here’s a crazy video series where Have Guitar demo’s ALL the presets … no, wait… is there another folder? Lets see… Factory2. Oh, 128 additional presets. Curtains down! So a software version of the Line Helix? Yeah, isn’t that great! What if we could have at least a sound editor like this for the Kemper? Dream on… but meanwhile you can have listen to the Helix at least. And if you like what you hear you can try it out too! Just download it and register at Line 6 and you’ll get a 15-day-trial with the Helix Native. Hope you liked the video! If so please support Have Guitars effort to bring fun guitar-related videos to quaff boredom by subscribing to channel. A big thanks as always to all of you already subscribing! Author adminPosted on September 12, 2017 Categories EffectsTags demo, epiphone thunderbird classic iv pro, fret nut have guitar, gibson sg standard 2016 high performance, helix native, line 6, presets, showcase, vst pluginLeave a comment on Line 6 Helix Native – All the… no, wait… some of the Presets! Here’s a crazy (bonus!) video series where Have Guitar demo’s ALL the Factory1 presets from in Line 6’s new VST plugin, Helix Native. This is part four of four, containing presets 97 – 128 of Helix Natives Factory1 presets. So… a correction needs to be done. First I thought there was 32 presets, “Makes a nice video” was my first thought. Then I realized it was 32 x 4 = 128 presets. Pfew… but I’ll make that happend anyways. And then – I noticed there was another folder – Factory2 – with 128 more preset. 256 presets all in all. And that I discovered two days before the trial version runs out!! So I had to compromise, there will be a fifth video with 32 demos from Factory2. Sorry but that’s the best I could come up with due to the time limit. Hope you liked the video! If so please support Have Guitars effort to bring fun guitar-related videos to quaff boredom by subscribing to the channel. A big thanks as always to all of you already subscribing! Here’s video with some equalizer (EQ) trick from Thomann. Now setting up the EQ isn’t always that easy… what sounds great on its own might cripple a whole mix. So learning by doing might be the best but getting from free advice on the way should not be frowned upon!